On a high school trip to Europe, Rosalynn Frederick was amazed by the educational value of traveling. She went on to join the Peace Corps and volunteered in Niger for two years. But she feels that not everyone is afforded these educational opportunities. 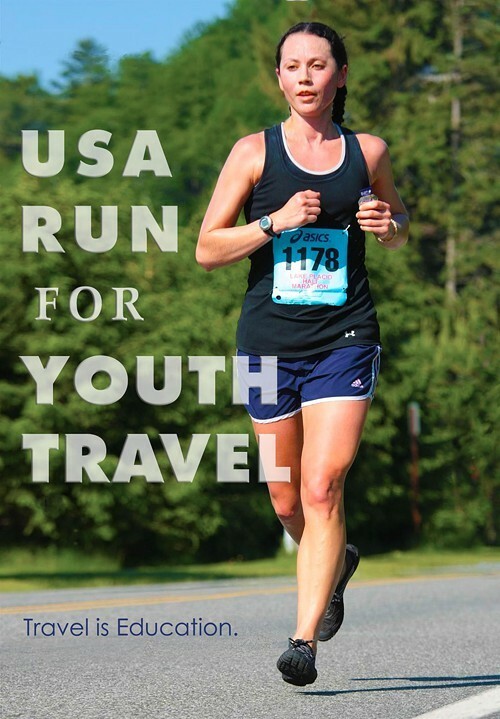 The Great Barrington resident and Taconic Hills High School Spanish teacher is raising money by running the 3,000 plus miles from California to New York to help low-income students in the Berkshire and Columbia County region to go on service and curriculum-based trips locally, nationally, and internationally. "In a world of increasing globalization, the broader a young person’s perspective can be, the better," she says. Using the "crowd-funding" site Indiegogo, she aims to raise $17,200. Currently, she has raised $1,130. The money will be used to help fund her run and to make a low budget documentary about it to help raise awareness for the non-profit she's developing, the Travel Youth Fund. If she doesn't reach her goal, she'll look for other ways to find money. Her itinerary plans for running 30 miles a day for 4 months. Frederick's trip will run through many Hudson Valley towns including: Port Jervis, Middletown, New Paltz, Kingston, Red Hook, and Pine Plains. The Spanish teacher was born in Pennsylvania, but went on to live the first 5 years of her life in Belize. She moved back to the States and settled in the Bronx. Six years later, her brother was born and her family relocated to Columbia County. She graduated from Taconic Hills, the school she currently teaches in.